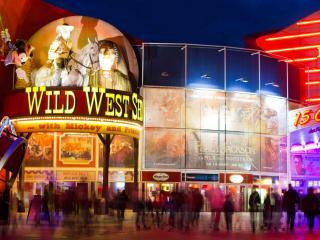 Admission to Buffalo Bill's Wild West Show. 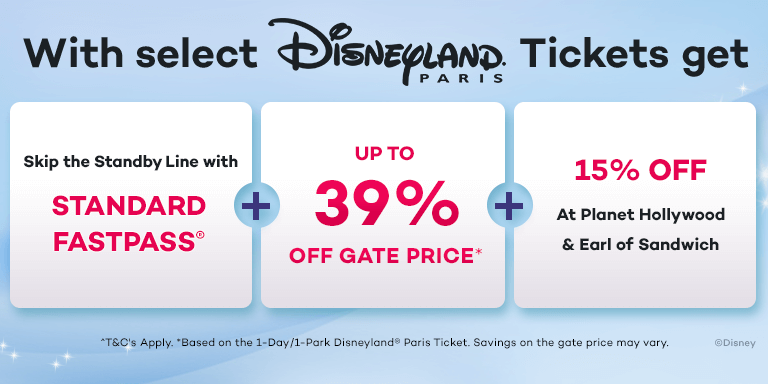 Special appearances by Mickey and his friends. Unlimited drinks including water, beer (adults only), Coca-Cola, tea and coffee. Photo opportunity with Mickey Mouse. Genuine buffalo herds, bronco stunts, and amazing sharp-shooter demonstrations. 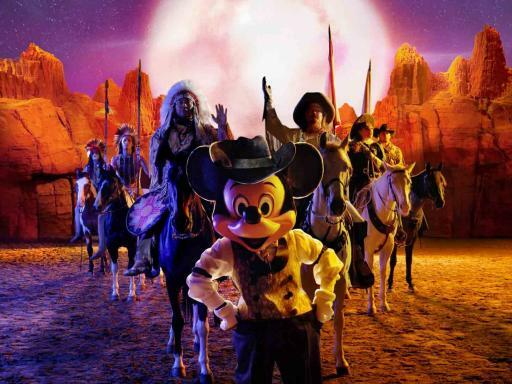 Take a walk on the wild side with Mickey and his friends as you go on an epic journey to the Wild West starring Buffalo Bill, Sitting Bull, Annie Oakley and the Rough Riders. 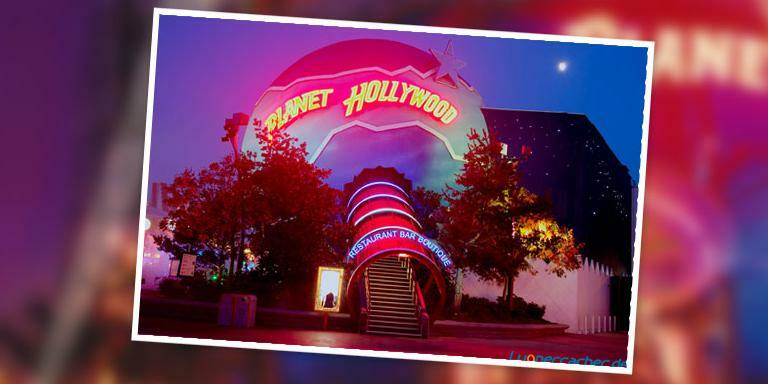 Savour the delicious Tex-Mex cuisine served in western-style mess tins whilst you enjoy the most spectacular Disney dinner-show of all time with the World’s biggest stars! 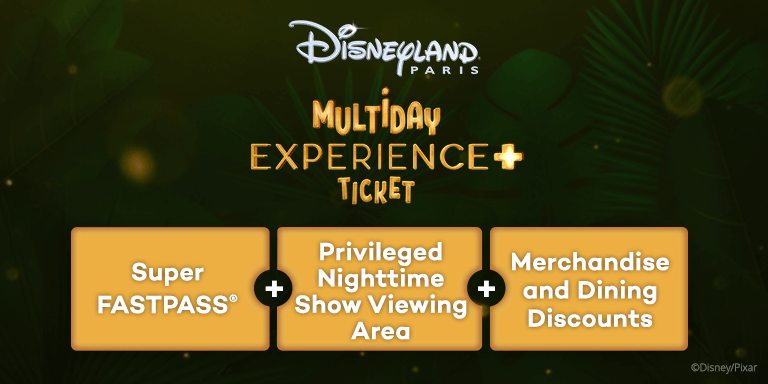 Get practising your best smile and have your autograph books at the ready, as Mickey will be waiting to greet you for an optional souvenir photo. 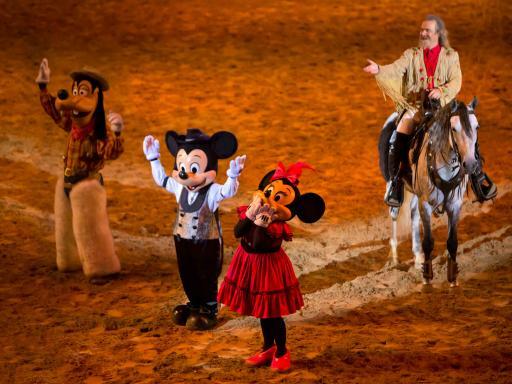 Relax and take in the festive atmosphere with Sheriff Goofy and his musicians as you prepare for this thrilling live show full of adventures and cowboy stunts. 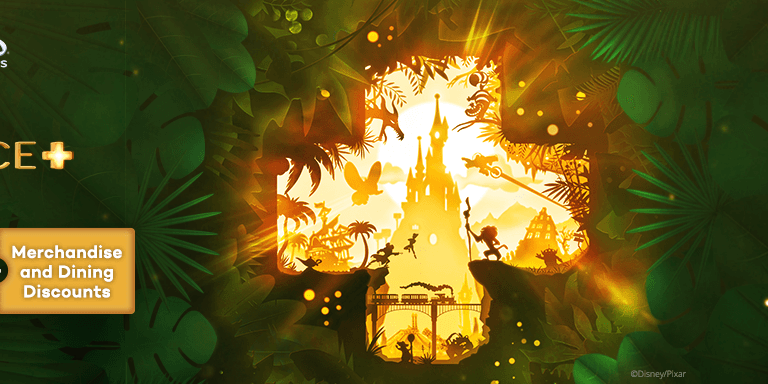 Defend the honour of your ranch as you watch the fun competitions held in the arena, plus special appearances by Mickey and friends will be there to help you cheer on all the action. 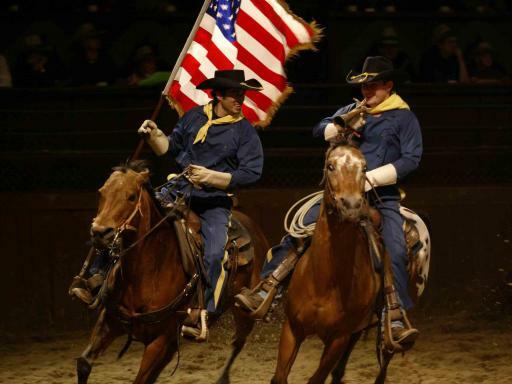 Whilst you watch bronco stunts and amazing shooter demonstrations unfold before your very eyes, enjoy delicious western food featuring camp cornbread, Texan skillet, cattleman's chili, old-style potato wedges and a yummy warm apple dessert with vanilla ice cream. Children can feast on roast chicken drumsticks, sausage, old-style potato wedges and ice cream. All meals are served with unlimited drinks including water, beer (adults only), Coca-Cola and tea or coffee. 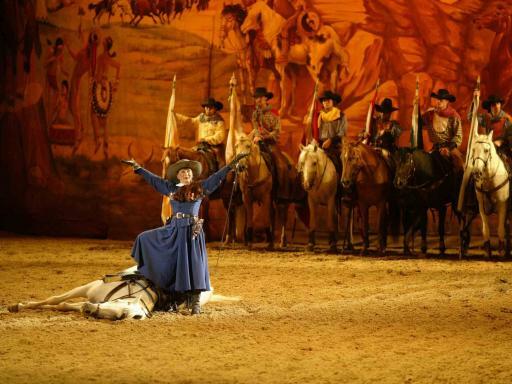 Through remarkable stunts, you will witness the re-enacted moments from the frontier with Buffalo Bill, Annie Oakley, Sitting Bull and the Rough Riders. 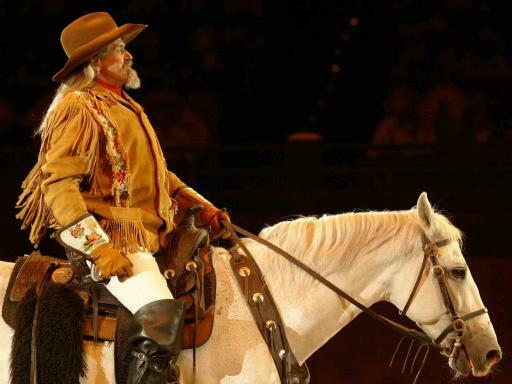 We love this electrifying Disney dinner show with real-life cowboys and Indians, so we know you will! Category 1 Seating - Privilege seating with the best view, a non-alcoholic welcome cocktail and sweet treats with your tea or coffee. 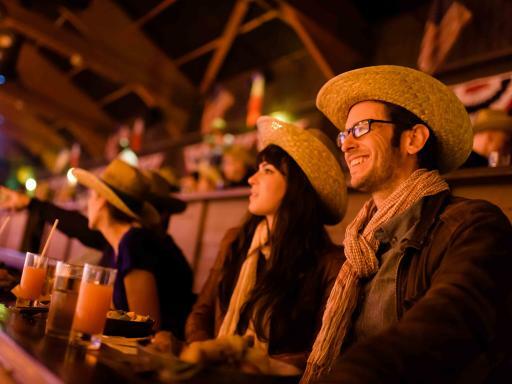 Category 2 Seating - Standard seating to enjoy the wild action and adventures of the Old West. Vegetarian and pork free menus are also available, please request these menus upon arrival at the show. Wine is also available at a supplement. Please note Buffalo Bill's Wild West Show is very popular and often sells out. Tickets are subject to availability and booking in advance is strongly recommended. 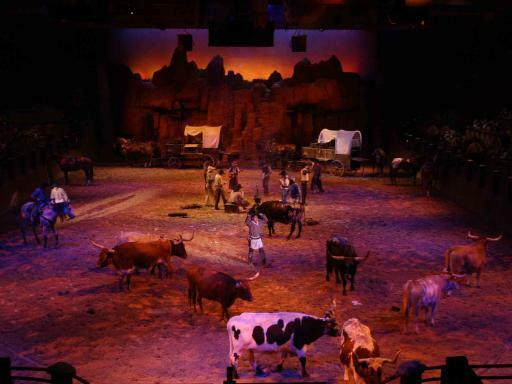 Departure Location: The Buffalo Bill's Wild West Show arena is located at the Disney® Village. Duration: The show is approximately 1 hour 30 minutes. Start Times: 6.30pm and 9.30pm. 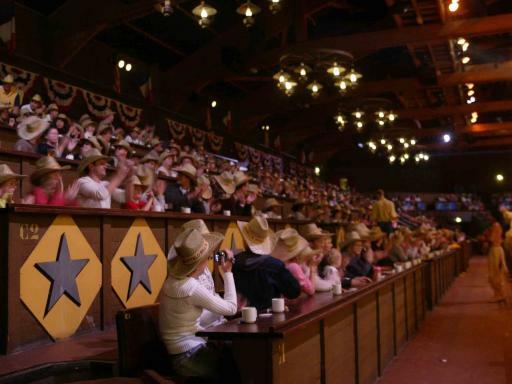 We REALLY enjoyed the Buffallo Bill Wild West Show. I definitely recommend it as an add on to your trip to Disney. 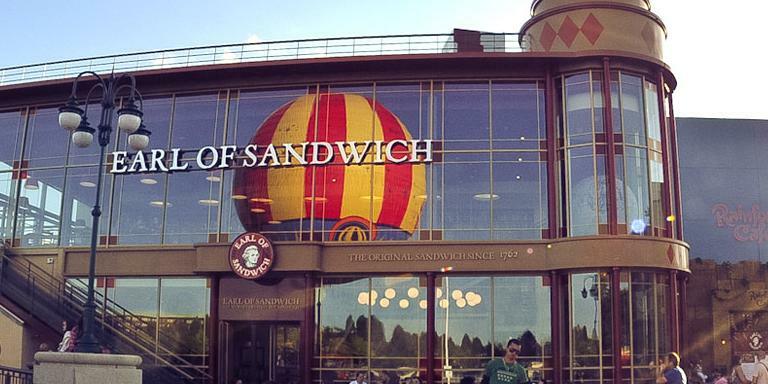 My two children ( 4 and 7) absolutely love it and my husband was very impressed with the food and beer top ups during the show :) Great view of the arena and very helpful and energetic staff. 5 stars. All the Disney characters where great and the live animals had everyone glue to the stage. The seats were amazing, amazing view, the food was amazing, everything was amazing. Great reliable and easy. good show, 3 course meal but food not so good. Fab night. Great show for the whole family - a must do experience. Only downsides are that it is very expensive, especially for a family of 4 and they used to have buffalo but on our night - no buffalo. Once confirmed you will receive an E-ticket - simply take this along to the venue. Advance reservations are required. You must select the actual date and time you would like. Tickets are subject to availability and booking in advance is strongly recommended. Admission is free for children under three, however seating is not guaranteed. Shows subject to modification, delay or cancellation without notice. Please arrive at least 1 hour before the show. Children under 16 years of age must be accompanied by a parent or legal guardian. The sale of alcohol is prohibited to minors under 18. Identification may be requested as proof of age. Please take photo I.D as your ticket will be checked at the entrance. 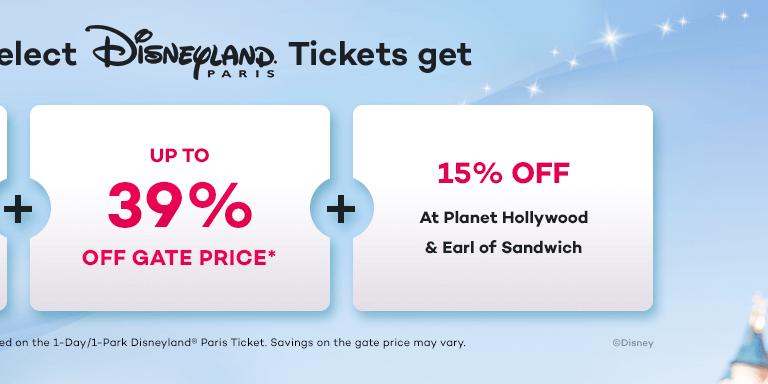 Tickets are non-transferable and non-refundable once booked. 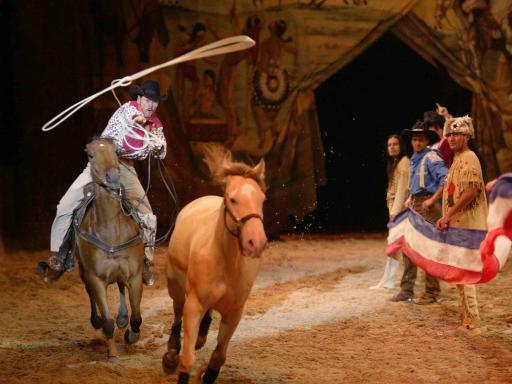 Please note as live animals are used during this show and the cavalcades raise dust, it is not suitable for people suffering from asthma or other respiratory disorders. 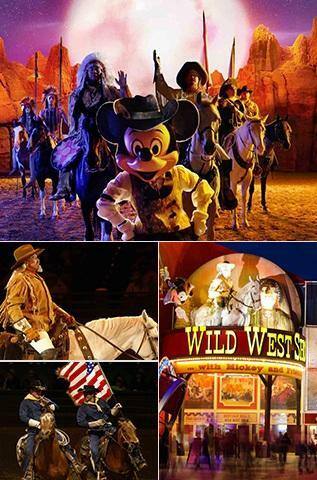 Once confirmed, we will email you an E-ticket for Buffalo Bill's Wild West Show. Simply take this voucher along with you to the venue.